I am a huge fan of Tom Cruise, so sorry but i can't hide it. LOL. I just like his style and of course his beautiful face too and who would not agree that he is also a good actor on his own right. We rarely so him in movies this day but when he does, it is surely a great hit. 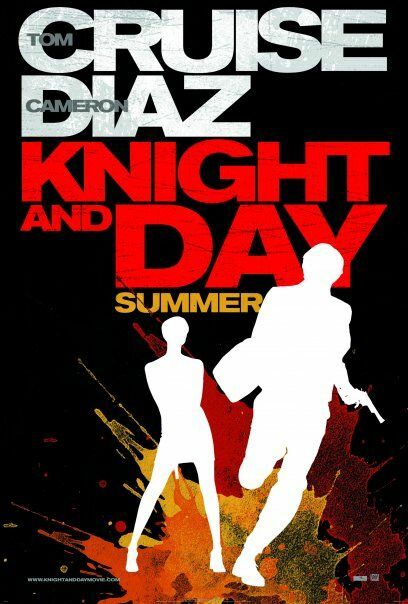 Hubby and I just had an entertaining night watching Knight and Day, although the story is a light one, there are many scenes that could make you very happy and just seeing how hubby laugh makes me believe even more that this movie is a must to see. Knight and Day is about a story of a very typical/ordinary lady (June Haven) who will be attending her sister's wedding only to find out that she would eventually missed her plane because of no available seats. On the airport she bumps into a handsome man (Roy Miller) who is actually a secret spy/agent who is on the run protecting a battery (i believe it's solar battery that can explode an entire city). Eventually, June was able to ride the plane because of the FBI agent hunting Roy. At the plane after having a short chat/getting to know each other thing, she excused herself to take the bathroom and there the action begins, killing all the passengers who happens to be agents and the pilot too. Roy decided to land on the fields (i can't remember if it was a rice or a corn) and eventually told June that he is an agent and let her promise that if anyone asked her about him, she would not say a thing. He also alert her not to go with this people because they are dangerous. June, not knowing what to do she eventually went with the FBI agents who fetch her on the Bridal Store where she was fitting for her sister's wedding. And that is where the story goes. It was not a very lengthy movie but it was quite entertaining especially the scene in Spain where they were being chased by the bad guys headed by Antonio. At the climax of the story. After saving the life of the young scientist (Simon Peck) and the death of the bad guy. Roy was congratulate by Director Davis (FBI head) but he knows that he be also eliminated based on her word. He was eventually save by June and they headed to Cape Town to fulfill their previous wishes. All in all, this is a 8 out of 10 stars for me. The movie was very fast moving and you would eventually realize that it was the end of it. Although, you will surely end up laughing and smiling, you would also be saying that it was somehow short (bitin). 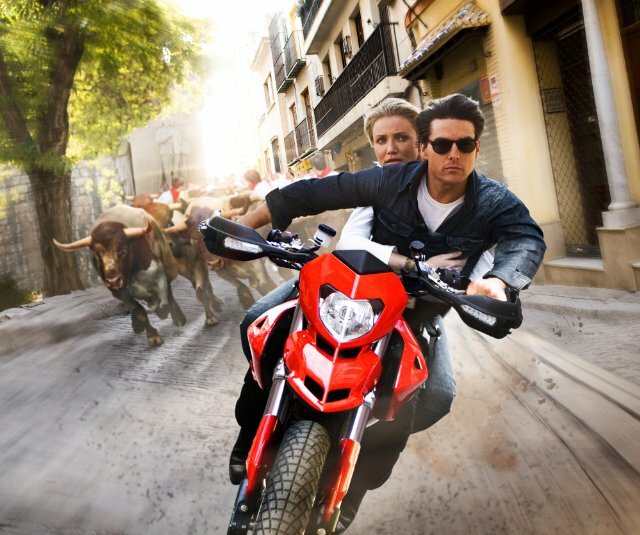 It's a comedy/action, adventure and love story turn into one great movie by Tom Cruise and of course by Cameron Diaz.